Recently, a “user friendly intermediary” for the banking sector began taking shape and since then, it’s been closely watched by would-be competitors. Simple offers a myriad of services for consumer around the nation, including a Simple Visa debit card. It promises to provide greater control over one’s financial accounts via any number of methods a customer wishes, including a nifty mobile app. It combines powerful technology, quality customer service and affordability is always at the center of the company’s mission. It’s not a bank, but rather, it partners with banks – specifically the Bancorp Bank and promises customers no fees on services such as overdrafts or low balances. The company’s profits come from interchange revenue and loan interest, which sits at eight percent. Those joining the service transfer their funds – which are always insured by the Federal Deposit Insurance Corporation – and can then control their account using their iOS device, which is necessary to use the platform. 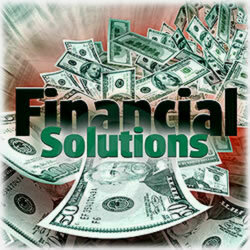 It truly streamlines all of your financial accounts. If you’re wondering what’s different with Simple, you’re going to be impressed. Because it’s heavy on the latest in technology, customers will use the app to keep track of all their transactions made with the Simple card. Every transaction – whether it’s a debit or deposit – can be geotagged at the time of the transaction. This is an option of course, but it’s really as simple as ensuring your geotagging option is enabled on your smartphone. For those who love Twitter, you’ll appreciate the the hashtag descriptions of your transactions. Let’s say you have three deposits in one day. You could tag each one as a reminder of where the money came: #birthday #payroll #cashback – choose the easiest hashtags you can remember and then enjoy the organization they provide. You’ll know where you were at the time of that transaction if you opt to use your geotagging service. There are few people who have ever reviewed their monthly bank statements only to find a transaction they don’t recognize. With Simple, not only will you be able to see where you were during that transaction (which can either serve as a reminder as to what the transaction was or it can also prove you weren’t in the area to make the transaction), but you’ll be able to put to rest any concerns. Want to set aside funds for your monthly autopay bills? Your funds can be separated into groups without setting up multiple accounts. Have those funds deducted from the group you choose to pay for groceries, utilities, insurance and any number of variations. There’s also a convenient ‘Safe-to-Spend’ dollar amount alongside your actual balance – which is great when a check’s been presented on your account to be paid but hasn’t been processed. Use your smartphone’s camera feature and take a photo of a check, deposit it from that picture and then withdraw the cash immediately. You’ll discover more than 40,000 ATMs around the nation that you can withdraw those funds with no fees. Need to speak to customer service? No problem – you can contact Simple’s team via your phone’s app. And one of the refreshing aspects of Simple is its very well trained customer service team. We seek to change an industry. The public’s trust in banks is at an all-time low. People deserve better. At Simple, it is our dedication to our craft that has made the product what it is today, and ensures its future potential. For now, engineers, public relations teams, company founders, financial analysts and of course, its growing list of consumers are all working to perfect the relatively new company. To date, more than 125,000 folks have requested invitations – customers wanting to use the service will need to request an invitation to join the waiting list. The financial service began taking its first customers late last year but is still not fully open to everybody. That said, it’s expected it will soon be open to all. The company cites changes to the industry as the need for tweaks and changes to its offerings. Our company is evolving, too. We focus the technical direction and philosophy of Simple. (The goal is to) build a culture that values clarity in both design and communication. Our team obsessively sweats the details, from the design of the Simple card packaging to our iPhone app. These principles define our uniquely talented team, and set the standard as we grow.